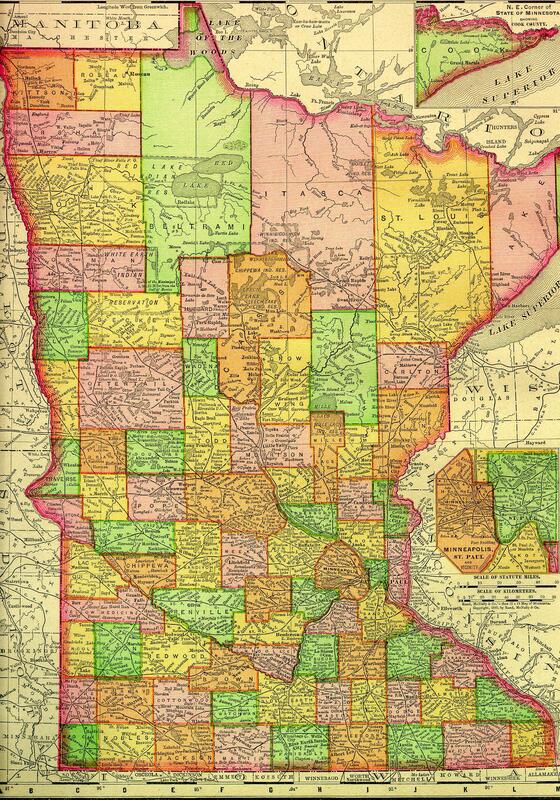 The Map Gallery links to maps of Minnesota from many different organizations. Maps can be finished, designed for immediate viewing or downloading, or interactive online maps, where users choose what to display from a list of available themes. Some maps appear in more than one category. MN Mapper (interactive): Create and print a simple state map with your choice of county boundaries, county seats, highways, major lakes and rivers, and Indian reservation boundaries. For more detailed maps of local areas, check city, county, township, and other local government websites and tribal government websites. 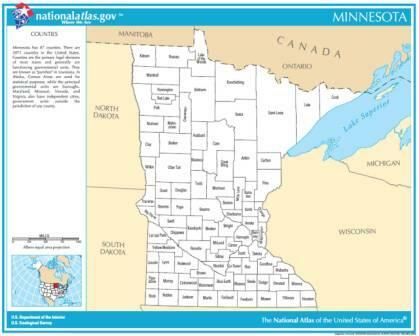 MN Mapper (interactive): County boundaries, county seats, highways, major lakes and rivers, and Indian reservation boundaries. Original Public Land Survey plats: Historic Minnesota township plat maps collected during the original Public Land Survey. Parcel information: Find land ownership parcel maps and plat books created by local governments and private companies.